What happened in Blockchain week 2017? January 20th kicked off London Blockchain Week 2017. With blockchain a crucial foundation of many of the technology innovations in financial services, we look at the latest developments in this fast-moving area. It was invented in 2008, and most people’s awareness of it comes via its role in creating the digital currency, Bitcoin. In technical terms, blockchain is a ‘distributed ledger technology’. 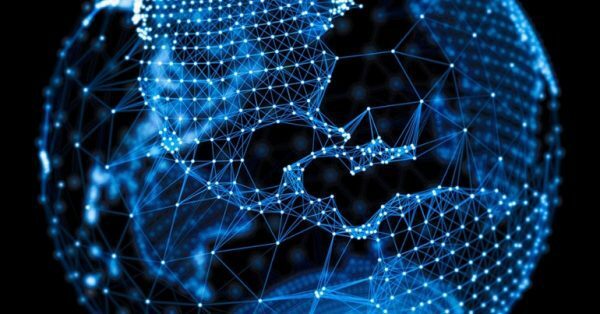 It is a technological way to store and record transactions, where each block in the chain is a piece of computer code containing some type of information, such as a contract, a certificate of ownership or proof of a bank transaction. Every block is securely ‘chained’ to every other one; this is what makes it so highly secure. These features make it particularly attractive to financial services, as they provide the ability to speed transactions through, while maintaining security. The chain’s transparency also creates an audit trail, via its tamper-proof record of transactions – another benefit for a highly-regulated sector. Blockchain Week 2017 – what is it all about? The week comprises a series of conference sessions and workshops (plus a weekend ‘hackathon’- a collaborative computer programming session). With speakers ranging from law firms, fintech start-ups to industry bodies and end-users, the conference explored topics like ‘How is blockchain changing the way businesses operate?’, security and scaling issues, and the best ways of sourcing capital for investment. Industry-specific sessions looked at the technology’s potential for the insurance and global aid sectors, among others. So, is this technology going to have its ‘big moment’ in 2017, as Emmanuel suggests? He thinks this might be the year it finally takes off, ‘disrupting processes across the gamut of financial services and beyond into other industries’. Two studies by IBM support this, with 15% of the banks surveyed and 14% of the financial market institutions intending to implement full-scale, commercial blockchain solutions in 2017. As we’ve explored in previous blogs, innovation is often easier for agile start-ups to exploit than it is for large businesses. Not just because of their extensive legacy systems, but because of the attitudes around innovative approaches and the use of fintech. The Financial Conduct Authority (FCA), though, is firmly behind innovation, with a supportive stance on outsourcing to the cloud, and practical support via its Project Innovate, Advice Unit and regulatory sandbox. This will hopefully make it easier for financial institutions – whether new or established – to make the most of technologies like blockchain for faster, more compliant processes. The in-built audit trail present in the chain helps meet the regulator’s strict rules on record-keeping. This is encouraging, as a recent report by law firm Mayer Brown showed that regulatory hoops were the main barrier to financial services firms investing in fintech. Whatever happens with this and other fintech developments in 2017, all regulated businesses need to find ways to innovate without breaching the FCA’s rules. If you want to ensure you stay fully compliant, whatever technologies you employ, you need to make sure that compliance is imprinted on your corporate ethos. Perivan Technology’s whitepaper, How to embed a compliance culture into your business has some good advice on how to achieve this – you can get a free copy here.